On the penultimate day of the Olympics came a gold rush around Rio de Janeiro. The culmination of tournaments as the sun began to set on the summer games would provide yet another dosage of the greatest show on Earth. 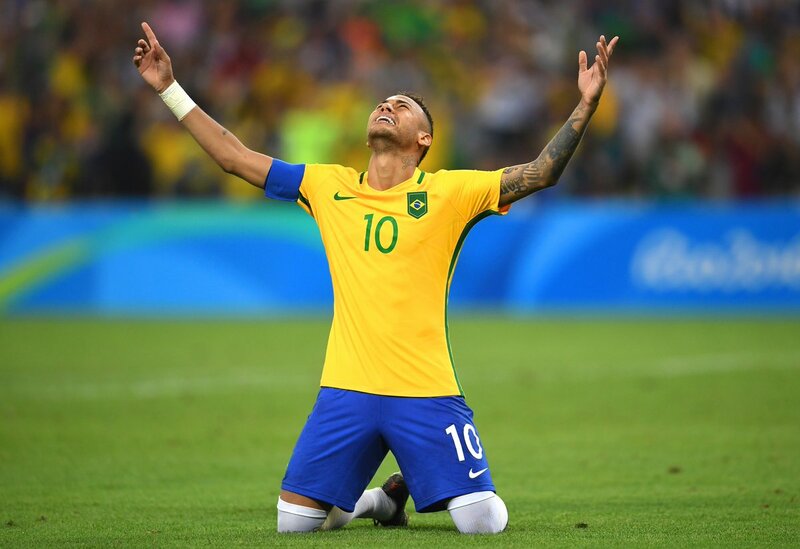 From the bumps of the mountain bike course, to the highs and lows of the many races and beyond - along with the golden boy Neymar handing Brazil a gold medal that will never be forgotten. As just one day remains of the Olympics, we round up all the action from day 15 - just as we have done so throughout the entire duration of a spectacular summer games. Ruth Beitia of Spain clinched one of the final track medals of the games as she cleared a height of 1.97m and due to successful first attempts she would go on to triumph. Thomas Röhler handed Germany a gold medal in the javelin throw, overcoming Kenyan Julius Yego who threw a distance of 88.24m before getting injured and being unable to continue. America's Matt Centrowitz took the gold medal in the 1500m men's final, leading from the outset before breaking away from Spain's Bustos to continue USA's searing run on the track. Mo Farah completed a historic double-double with victory in the 5000m final. In the women's 800m, South Africa's Caster Semenya surged ahead of the pack to claim the gold. Team USA would go on to sweep the 4x400m relays, as their women held of Jamaica with a time of 3:19.06 while the men's side did it in 2:57.30. Britain were the surprise package in the women's race as Ohuruogu finsihed their race off to a bronze medal - while the Bahamas sneaked on the podium for the men's. Chen Long seized the men's badminton crown after handing Lee Chong Wei his third straight final loss, winning in straight sets en route to receiving the gold medal. Long exhibited the quality that many Chinese players have on the court, forcing his Malaysian counterpart to surge forward towards the net, eventually surrendering the match point. Earlier in the bronze medal match, Denmark's Viktor Axelsen bounced back from a tough defeat in the semi finals to defeat China's Dan Lin by two sets to one. 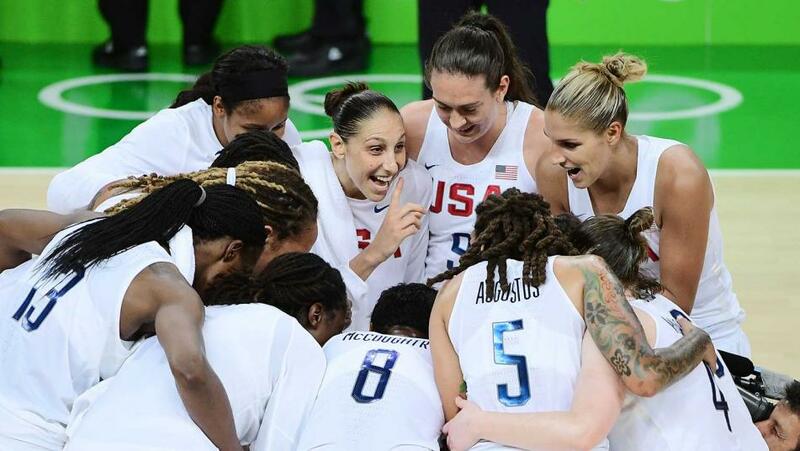 The United States women's team lived up to their potential once again as they secured their sixth straight Olympic title with a dominant rout of Spain. Despite the best efforts of the Europeans to restrict the Americans breaking away, but eventually they were just overpowered, as all the fallen opponents were on the extraordinary Rio 2016 run. Things were, in comparison, much closer between Serbia and France, with the Serbs capping off a solid tournament with a margin of 7 points to claim the bronze medal. 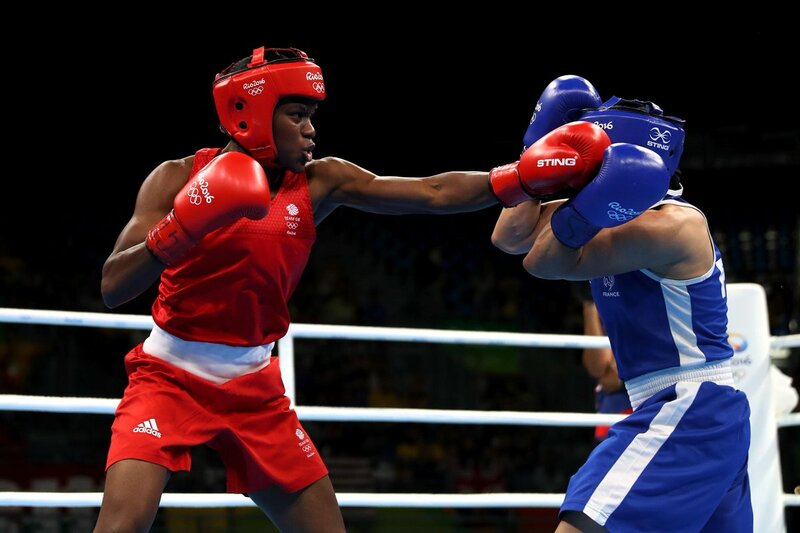 Nicola Adams retained her Olympic title with a victory in the final of the women's flyweight competition over France's Sarah Ourahmoune. The Briton started strongly and kept up the pace to convince the judges of her victory. Cuba's Robeisy Ramirez overcame hot prospect Shakur Stevenson with a razor-close decision win in the bantamweight final. Going into the third round, both fighters were a round apiece, before the Cuban was able to pull ahead. Great Britain's Liam Heath solidified his position as Britain's most successful canoe sprinter, winning the first gold of the day in a close 200m single kayak final. While making a slow start, he surged ahead from the halfway point to overcome France's Beaumont. The tandem of Sebastian Brendel and Jan Vandrey handed Germany their first of two gold medals on the final rowing session, fending off a furious start from the hosts Brazil to win the 1000m canoe double. Hungary's quartet retained their Olympic title after the women's 500m kayak four finished with an identical podium to the London 2012 event. Despite the Germans breaking ahead to an early lead, they timed a late sprint perfectly and burst through the line. On the final race of the games, Germany took another gold medal for an incredible effort in the men's kayak four. Over the 500m course, they broke ahead andd were too hard to catch for silver medallists Slovakia. Jenny Rissveds of Sweden comfortably pedalled her way to a victory on the unforgiving mountain terrain as she took the gold medal in the women's cross country mountain bike. After leading the front of the pack for most of the race alongside Maja Wloszczowska, she would pull away from the Pole to take the top prize. A phenomenal performance from Chen Aisen earned China their tenth diving medal as he scored 585.30 in the final of the 10 metre platform. His consistency was crucial, sustaining tightness in his twists and keeping fantastic posture in his entrance to the water. Tom Daley suffered a major shock as he failed to qualify for the final, dashing his hopes of an Olympic gold as he made countless errors and finished in last place of the preliminary. 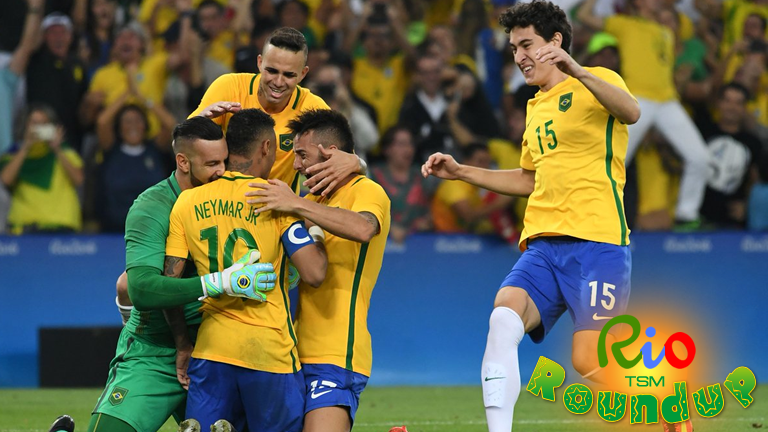 Captain and golden boy Neymar sealed a historic and tear-jerking gold medal for Brazil as they avenged their World Cup semi-final loss from 2 years ago with a victory on penalties against Germany in the final of the men's tournament. Having opened the scoring with an excellent free-kick darted into the top corner, the goal was cancelled out by Germany's equaliser, leading up to 120 minutes at 1-1. With all penalties perfect until the fifth, Neymar took advantage of Petersen's missed penalty to smash home and spark euphoric celebrations in the Maracanã. After more than a century, Inbee Park made history to win the women's golf tournament. 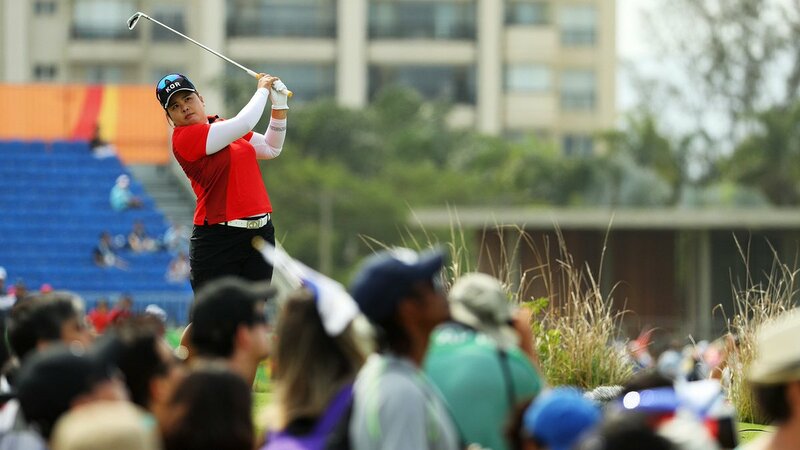 Hailing from North Korea, she finished on 16 under par ahead of silver medallist and reigning world champion Lydia Ko. The result would be confirmed after a superb 66 points on the last round. Russia continued their dominance in rhyhtmic gymnastics, as Margarita Mamun became the sixth athlete out of West Europe to take the gold. She overcame world champion Yana Kudryavtseva, who had beaten her twice in the past two years, by scoring 76.483 with an elegant routine. 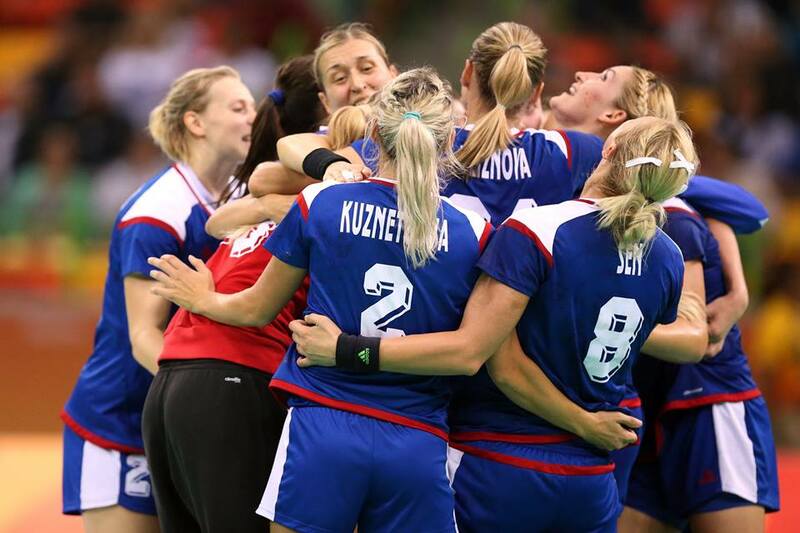 Following a thrilling hour of some of the best women's handball on display across the globe, Russia came out as the victors with a 22-19 margin as they topped France to take the women's handball gold. Despite the French setting a relentless pressure right off the bat, Russia weathered the storm and killed the game off with late points. The bronze medal match would turn out to be the opposite, as Norway bashed Netherlands 36-26 to get the final spot on the podium. On what was a strong day of medal hauling for Russia, Aleksander Lesen added another to the tally with a huge win over the course of the pentathlon. Winning by 7 points ahead of Ukraine's Tymoshchenko, the Russian was able to sit back in the final leg and take the win. China's Shuyin Zheng cruised to the +67 kg women's title as she defeated Maria Espinoza in a bout where she only conceded one point - of which was in the fianl seconds of the third round when all was wrapped up. Azerbaijan's Radik Isaev eased to a victory over Abdoulrazak Alfaga, having enough time to run around and take the clock down. 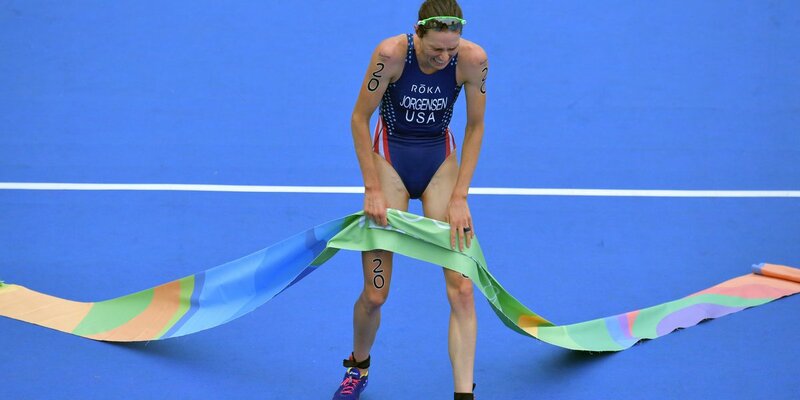 United States' Gwen Jorgensen clinched the gold medal in the women's triathlon with a time of 1:58.16, Lagging behind by 4 seconds on the bike to running transition, she made up for lost time by charging to the front of the pack, and eventually pulling away from Nicola Spirig Hug to clear the finish. China dispatched Serbia by 3 games to 1 to add yet another gold medal to their ranks, as they made it difficult for their European counter parts to get out of the blocks and took the indoor volleyball crown. Serbia lived up to their odds as tournament favouries, defeating Croatia and putting some of their bad blood to rest with an 11-7 victory. Branislav Mitrovic's 12 saves were crucial in halting the Croats, as the Serbs proved far too powerful and polished. Abdulrashid Sadulaev added an Olympic gold medal to his two world championships as the Russian defeate Turkey's Selim Yasar 5-0, just as he did last year in the Vegas world championships. The Turks would have much better luck in the huge 125 kg division, where Taha Akgul saw off Iran's Komeil Nemat Ghasemi with a 3-1 win.